DJ Frankie Knuckles performs at Chicago SummerDance DJ Series. People of Rhythm serves as a performing arts presenting organization, a record label and a creative music production company. Serving various music needs on all levels from event production to providing live, original or licensed music for ad agencies and brands. Specializing in live music event programs and music event series. Also presenting and providing free arts programs and arts education to the public whenever possible. With over 20 years of professional experience in the performing arts, music and marketing industries, focusing on presenting live music, film, dance, multimedia events to the public as well as creating and producing experiential marketing events for various major brands. From curating music needs for television commercials or film content (original compositions, licensed music or live bookings), to serving as Music Supervisor for a documentary film, to producing large-scale DJ or live band experience events for Furtune 500 brands, People of Rhythm goes up and above to meet the needs of whatever the client is looking to achieve through music and live events. We excel in performing arts and music event programming, music licensing, artist and vendor negotiations, contracting, event operations, production and management, project and artist management, logistics, budgets and financing, staff management, marketing coordination, publicity, sponsorship, grant writing and development. Brian is recognized as a key figure and conduit for curating local, national, and international artists and ensembles and DJs of all styles for various clients and events throughout the years. With Ravi Shankar in his home in 2010 before producing his 90th Birthday Tribute Concert. RIP. Creator and Producer of SHELebration! a live tribute event to the writing, art and music of Shel Silverstein in Millennium Park, Chicago, 2009. Creator and Co-producer of SHELebration! a major Tribute to the writing, art and music of Shel Silverstein att Central Park SummerStage, NYC. Producer and Co-Curator for Chicago SummerDance in Grant Park Chicago. Artist Karsh Kale in photo. Music Producer, Co-Curator, Consultant for Millennium Park Chicago. Production and Management for Woody Guthrie Centennial All-Star Tribute at Metro Chicago. Produced by Porta Luz/HotHouse. 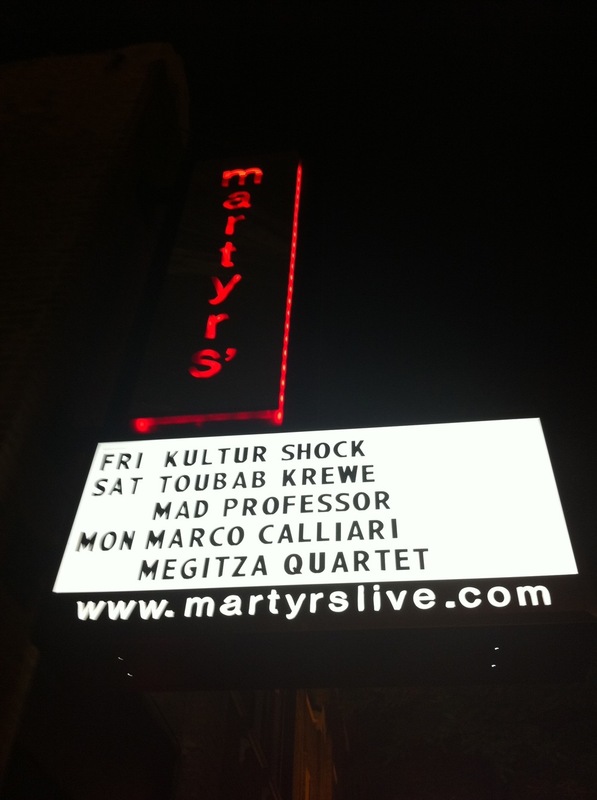 Producer, Co-Curator and Consultant for 25 venue, week-long World Music Festival Chicago, 1999-2015. Producer and Co-Curator (with Questlove) for clients, Absolut and Flavorpill's Lunchbreak series Chicago. DJ Derrick Carter Performs in photo. Music Producer and Guest DJ for Lion Award event in Cannes, France for client Jack Daniels. Banditos from Alabama, USA performing. Event Producer and Co-Curator for Chicago SummerDance. Kalapriya dancers pictured. Producer and Co-Curator (with Questlove) for Absolut and Flavorpill's Lunchbreak series Chicago. Producer, Co-curator, Consultant for Millennium Park Chicago, 1994-2015. 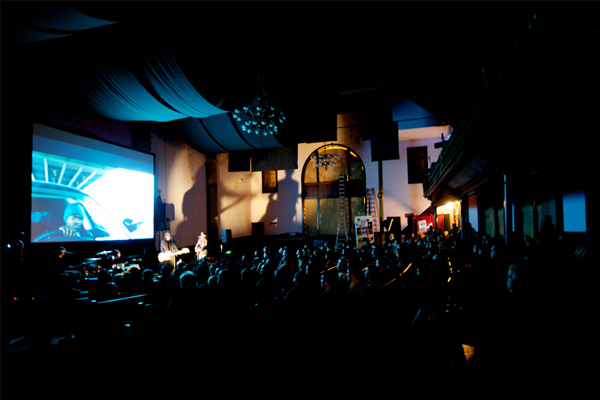 Electronic music producer, Daedelus performs in photo. Event Producer, Co-Curator, Consultant for Millennium Park Chicago, 1994-2015. Soul Train 40th Anniversary event in photo. Creator and Co-Producer, Consultant for SHELebration! in Central Park. Lou Reed performing at SHELebration! in photo. Music Producer, Curator for Soul Train 40th Anniversary DJ Series at the Chicago Visitor Center. DJ Clerical Error in photo. Producer, Promoter for Ko-Wreck Technique record release event with Warp Records, Chocolate Industries, Schematic Records and Struggle Inc.
Booking legendary DJ, Frankie Knuckles for the third time, which ended up being his final Chicago performance. RIP. FK Always! Event Producer and guest DJ for Qatar Airlines launch event at Field Museum Chicago. Jennifer Hudson performs in photo. Music Producer and Guest DJ for Qatar Airlines launch event at Field Museum Chicago. Set Up photo. Co-Curator and Co-Producer for Freakin' at the Freaker's Ball, An Adult Tribute to the works of Shel Silverstein at Hideout Chicago for Tomorrow Never Knows Festival. Thank you photo from Mickey Hart of the Grateful Dead for helping him sell more CDs in Chicago than anywhere else in the USA. Event Producer for Kalapriya Center for Indian Performing Arts. 2012-2014. Event Producer and Co-Curator for Audio Picnic music series at the Jay Prizker Pavilion in Millennium Park. Red Bull session with DJ Rashad and Traxman in photo. Co-Producer, Co-Curator and creator of the Worlds of Music Instrument exhibit at Chicago Cultural Center as part of the city's World Music Festival 2010. Event Producer for Chicago International Movies and Music Festival. Spike Lee and Public Enemy founder Hank Shocklee at CIMM Fest 2015. Melvin Van Peebles with his "Badaasss Award" from the Chicago International Movies and Music Festival. Event Producer and Creator of "Out of the Jungle" concert events for Kalapriya Center for Indian Performing Arts and the Goodman Theatre's The Jungle Book musical. Presenting Indian classical musician Ustad Sultan Khan (RIP). Curator, Producer, Consultant of India Calling! Festival for National Geographic Traveler and India Tourism Board. 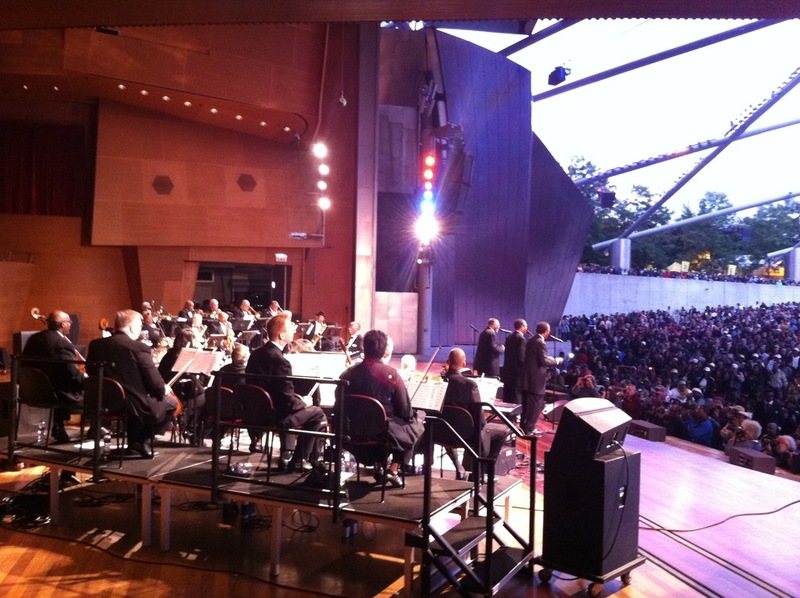 Zakir Hussain and Niladri Kumar in photo at Millennium Park 2010. Event Producer, Event Coordinator for Sonor Chicago Festival 2010. Creator and Producer of SHELebration! a live tribute event to the writing, art and music of Shel Silverstein. 9,000 people in attendance at Millennium Park, Chicago, 2009. Creator, Producer and Curator for Chicago SummerDance DJ Series. 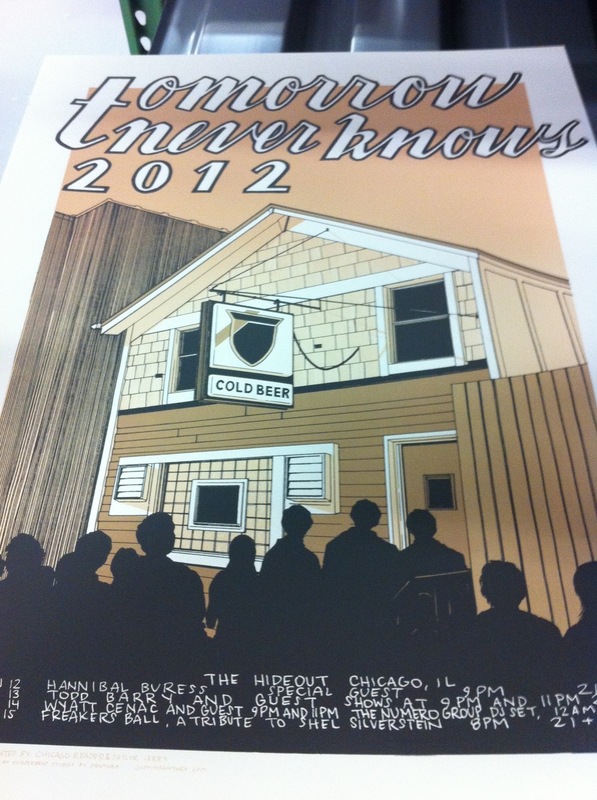 Co-Curator for Pitchfork Music Festival & Chicago SummerDance DJ series. Matthew Dear in photo 2006. Event Producer, Event Coordinator, Consultant for Sonor Festival Chicago event 2010. Nosaj Thing at the Chicago Cultural Center in photo. Creator, Producer and Curator for Chicago SummerDance DJ Series. 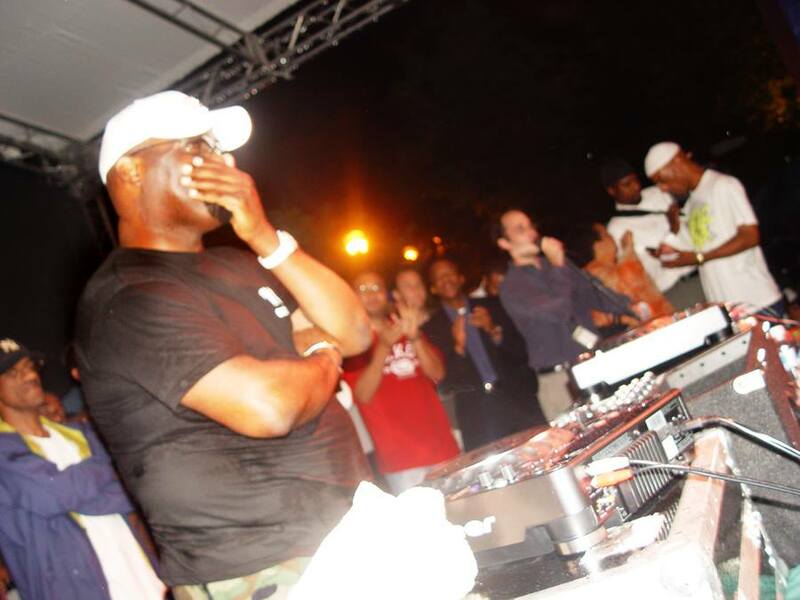 An emotional DJ Frankie Knuckles in photo on "Frankie Knuckles Day" as proclaimed by Mayor Daley in Chicago. Music Producer and Guest DJ for Lion Award event in Cannes, France for client Jack Daniels. Event Producer, Consultant for Mutek Festival Chicago 2010. In photo: Canadian electronic artist, Thierry Gauthier performs. Creator, Producer and Curator of the OHM Multimedia concert series at the Chicago Cultural Center 2004 - 2011. German electronic artist, Wolfgang Voigt, aka Gas, makes his U.S. debut 2009. Curator, Producer, Consultant of India Calling! Festival for National Geographic Traveler and India Tourism Board. Artists Zakir Hussain and Niladri Kumar in photo at Millennium Park, Chicago, 2010. 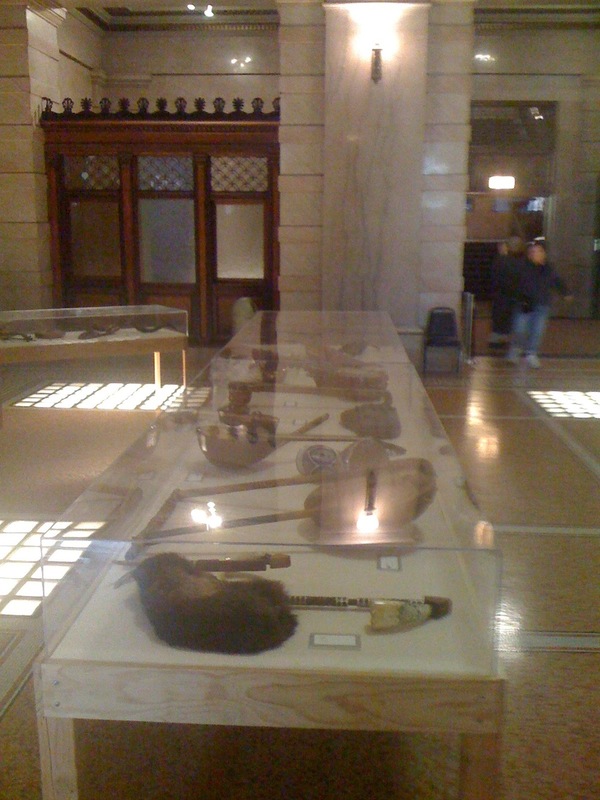 Co-Producer, Co-Curator and Creator of the "Worlds of Music" instrument exhibit at Chicago Cultural Center as part of World Music Festival 2010. Curator, Producer, Consultant of India Calling! Festival for National Geographic Traveler and India Tourism Board. Lyon Liefer, Subashis Mukhurjee, Shruti Joshi performing. Event Producer and Co-Curator for Audio Picnic music series at the Jay Prizker Pavilion in Millennium Park. 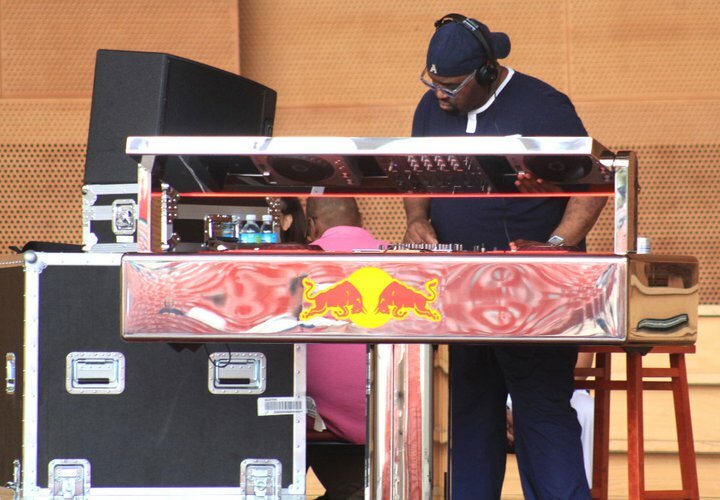 Red Bull Music session with DJ Frankie Knuckles in photo. Producer and Co-Curator (with Questlove) for clients, Absolut and Flavorpill's Lunchbreak series Chicago. Free bagged lunches for all! Producer and Co-Curator (with Questlove) for clients, Absolut and Flavorpill's Lunchbreak series Chicago. Line to get in at noon on a Thursday. Producer and Co-Curator (with Questlove) for clients, Absolut and Flavorpill's Lunchbreak series Chicago. DJ Jazzy Jeff Performing. Producer and Co-Curator (with Questlove) for clients, Absolut and Flavorpill's Lunchbreak series Chicago. Giving a presentation on touring the USA to bands, musicians and agents in Rio de Janeiro 2009. 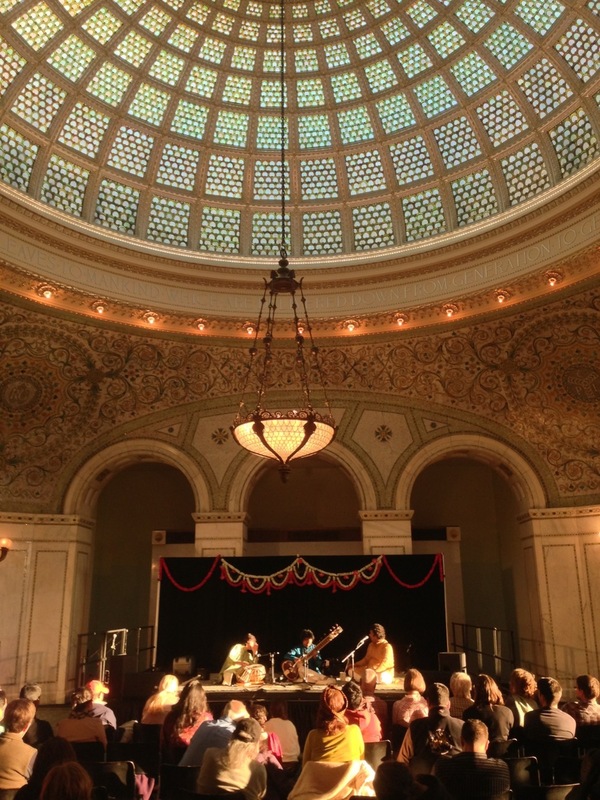 Event Producer, Co-Curator, Programmer for music events, series and programs at the historic Chicago Cultural Center. YoYo Ma and his Silk Road Ensemble perform in photo. Creator, Co-Curator for Chicago SummerDance DJ Series 2015. 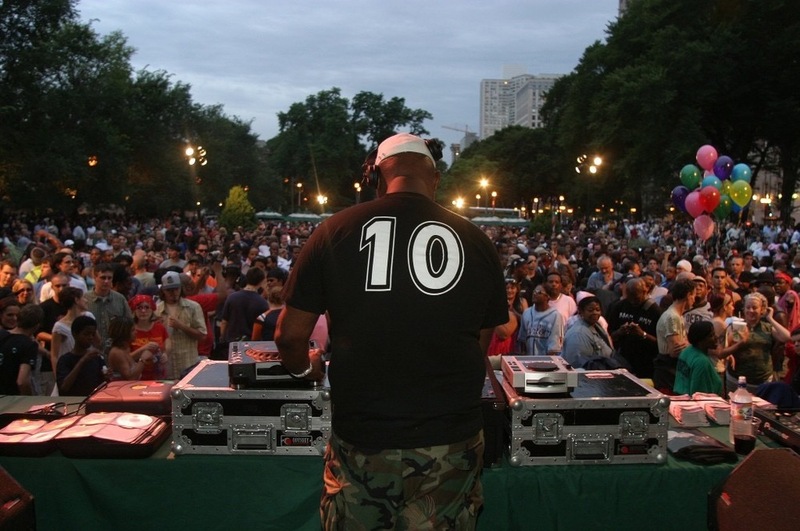 DJ Derrick Carter in Grant Park in photo.